UNITED NATIONS – U.S. 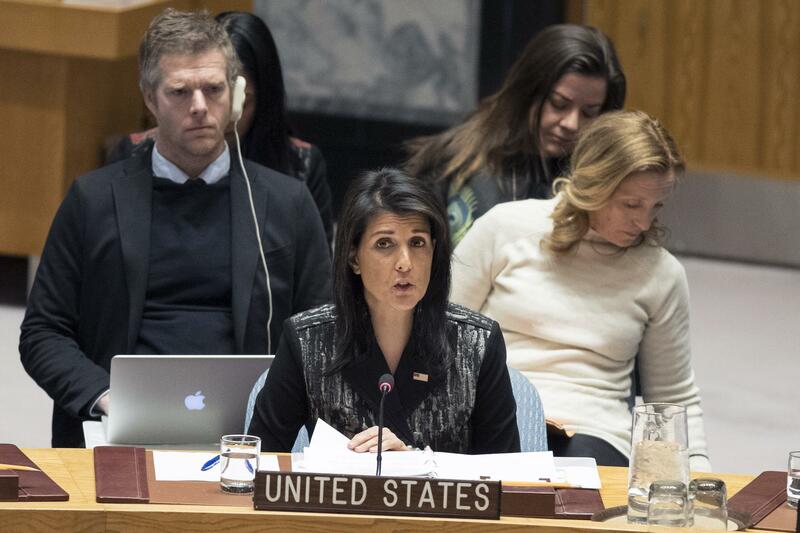 Ambassador Nikki Haley says the Trump administration’s policy in Afghanistan is working, saying talks between the government and the Taliban are closer than ever before. President Donald Trump’s Afghan plan involves shifting from a “time-based” approach to fighting America’s longest war to emphasize linking U.S. assistance to concrete results and cooperation from the Afghan government. Published: Jan. 17, 2018, 8:44 a.m. Tags: Afghanistan, ambassador, Nikki Haley, policy, Taliban, Trump, U.S.